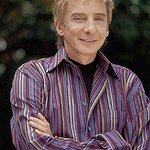 Pop music legend Barry Manilow will perform at the Columbus Citizens Foundation 73rd Annual Gala on Saturday, October 7 at the New York Hilton. The Gala will honor Leonard Riggio, the Founder and Chairman of Barnes & Noble, and will benefit the Foundation’s Italian-American Student Scholarship Fund. The theme of this year’s Columbus Day Celebration and parade is “A Celebration of Italian-American Authors.” Mr. Riggio, the parade Grand Marshal, created the theme to recognize the achievements of Italian-American writers. The black-tie Gala will incorporate this theme and feature Mr. Manilow as the guest performer. All proceeds from the Gala will be used to support the Foundation’s mission of providing quality education to students of Italian descent who have academic ability but need financial assistance. Having sold more than 85 million albums worldwide, Barry Manilow is one of the world’s all-time bestselling recording artists. He’s had an astonishing 50 Top 40 singles including 12 #1s and 27 Top 10 hits and is ranked as the #1 Adult Contemporary Artist of all-time, according to Billboard and R&R magazines. 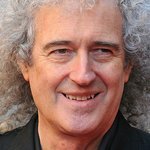 He has been nominated for a Grammy Award in every decade since the 1970s and, in addition to winning the Best Pop Male Vocal Performance Grammy in 1979 (for “Copacabana”), is an Emmy, Tony and American Music Award winner three years in a row. Mr. Manilow will be a part of a program that pays tribute to Grand Marshal Riggio, Italian-American authors, and this year’s honorees, Tom Iovino, CEO of OHL America, and Dr. Laura Forese, Executive Vice President and COO of New York-Presbyterian. Tickets are still available for this exceptional evening. Please email gala@columbuscitizens.org for further details.